Here you will find colorful and whimsical artwork perfect for a child's room. These original paintings and prints can become cherished keepsakes. I know I still have some of the artwork from my home growing up, and it reminds me of the joys of my childhood! A popular option are my custom name paintings. These can be done using any color scheme or theme you choose! I have painted fireman, under the sea, princess, zoo, farm and sports themes among others! Just contact me for more information. This is a cheerful fine art giclee print of an original watercolor painting.....perfect for a kids room! Each time you look, you may find a new little detail! 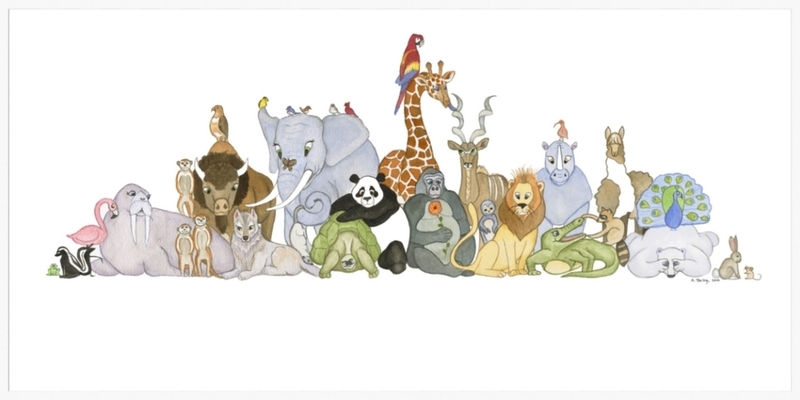 I can personalize it by adding a child's name & birthday, or the phrase "it's a zoo around here"
Watercolor - 22" x 16"
This colorful, large watercolor is sure to engage a child's imagination! 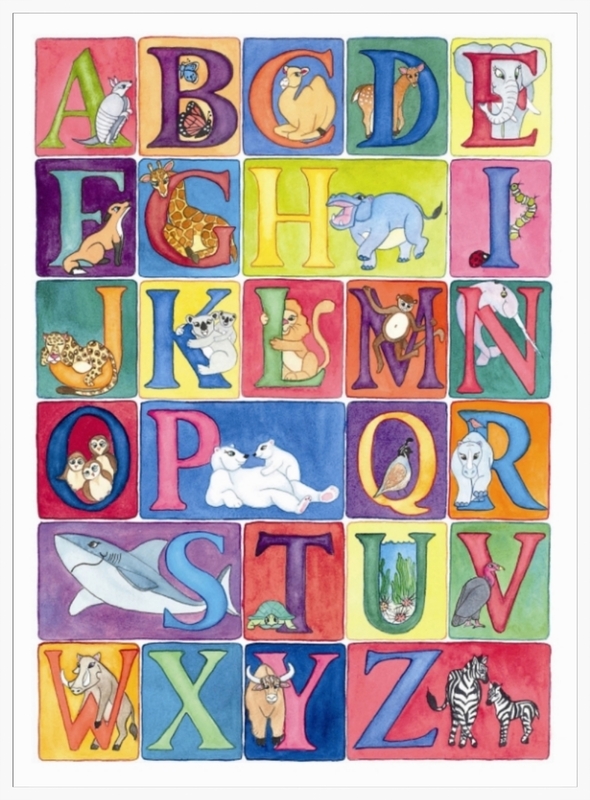 Each letter corresponds to an animal whose name begins with that letter. It can be both decoration and a teaching tool! It could look good in a colorful room, or as a pop of color in a more neutral decor. These popular custom name paintings can be done to fit any decor or theme. Each letter block is approximately 4 x 3.5 inches. Price is per letter. Contact me for details! Brooks - Ocean theme to match bedding colors.